If you’re an avid fan of RVing and spending time with loved ones outdoors during the camping season, you’ve probably heard of a bevy of ideas on how to winterize your RV when the winter season comes. Let’s face it, no one really wants to stay out camping in an RV when it’s freezing outside. The best you can do is to keep your motorhome stashed in a safe place and make sure that you have everything ready for the cold winter days. Winterizing, for the experienced RV owners, is an extremely important task to do when summer is over. To make the best out of your investment, you have to make sure that everything is in place and your RV is ready to face the freezing cold temperatures of the winter season. This way, you’ll be able to avoid costly damages that could bleed you dry. 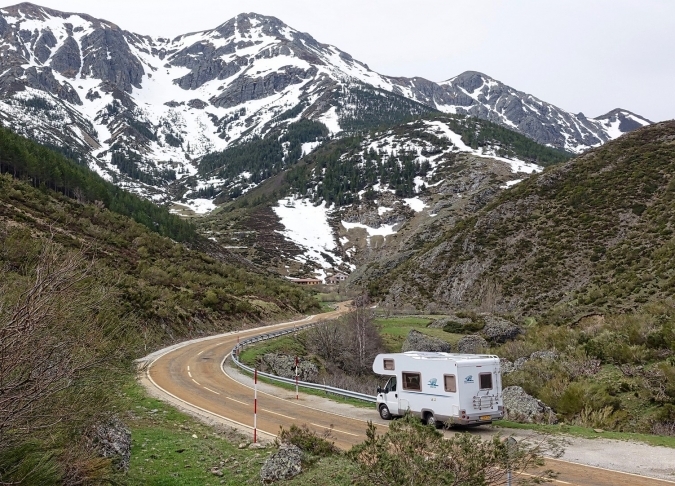 The word “winterize” may not sound familiar for first-time RV owners, but for long-time motorhome owners, the word conjures up a lot of ideas. It generally means preparing an automobile for withstanding an extreme drop in temperature during the winter season. Remember that you’ll be storing your RV for a couple of months, so winterizing could really help you protect your investment. Make sure that all of your water systems are drained. This includes the cold, hot, and fresh water lines. Open the faucets of these pipes and remove as much water as much as possible. You also might want to turn on the faucets in the sinks, shower, and drain the water from the toilet’s tank. This step is necessary to avoid the excess water from freezing up and causing expansion that could lead to broken lines. Bypass your RVs water heater then add the antifreeze. Some RVs may have a built-in bypass system, which is great, but other RVs may not have a bypass system. If yours doesn’t have it, you will need to use a separate bypass kit for your water heating system. Once there’s no more water coming out of the faucets, attach an air compressor adapter to your water lines. The compressed air adapter is also known as a blowout plug that can be found in any hardware store. A standard air compressor is needed to push the remaining water out of your RV’s pipelines. Although this isn’t really 100% necessary, this will ensure that your antifreeze won’t become diluted. Put the caps back in the drains and turn off all faucets in the RV. Be sure to remove or take out all the food in your RVs freezer or cabinets to prevent them from spoiling and creating a foul smell. Don’t forget to remove any laundry from your RV. This way, your RV will smell fresh when the camping season comes around. Make sure that all of the electrical wirings are safely turned off. Top off your motorhome’s fuel tanks to prevent any condensation from forming. Make sure that your RV doesn’t have holes where rodents or pests may pass through. If there’s any, cover it with a screen or a wooden plank. Don’t take winterizing for granted. 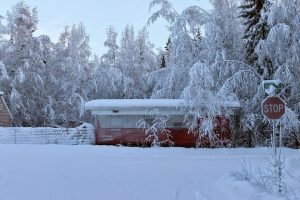 If these instructions sound too complicated for you, you can always have your RV winterized in any service department in your area where a complete winterizing package is commonly offered. Aside from that, you can always choose to donate your RV and support a great cause. We at Veteran Car Donations are open to accepting motorhomes – running or not – and other types of vehicles as donations. The proceeds from the auction sale of donated vehicles will be used by our partner nonprofit organizations to help our homeless and impoverished veterans across the country, especially now that the winter season is approaching. The funds will be used to provide them with physical and mental health care, housing, job training, scholarships, transitioning assistance, and other essential services. For more information on Veteran Car Donations, our donation process, the tax deductions and other rewards that you can get, and other related matters, check out our About Us and FAQs pages. For inquiries, you can call our toll-free 24/7 hotline 877-594-5822 or send us a message online. Call us at 877-594-5822 and help transform the lives of our struggling veterans!